I’m currently training to be a researcher and undergraduate lecturer at the University of Sheffield, and I’m really interested in protecting our natural habitats and trying to encourage others to love nature and the science involved as much as I do. This year I was lucky enough to be able to adventure to Guyana in the North of South America. Guyana is a little visited country (formally British Guiana) and is one of the most untouched countries, as it has the lowest deforestation rate in South America. It is the perfect place for wildlife spotting! 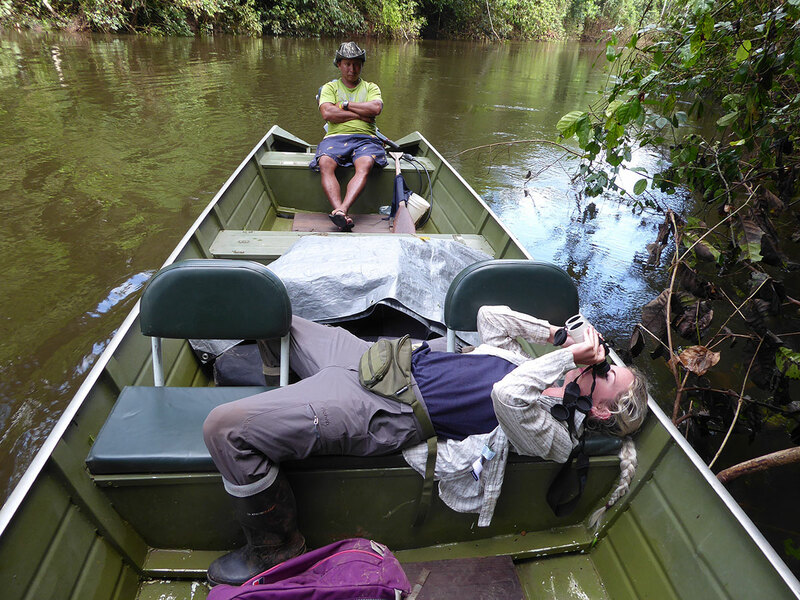 I travelled to Guyana with a film crew, led by Zoologist and wildlife filmmaker Daniel O’Neill, and we had one goal – to find the largest and most powerful bird in South America, the Harpy Eagle. Harpy Eagles are incredibly elusive and some people spend their whole lives trying to find them. Dan’s film, which you can watch below, follows our voyage to find the Harpy. It was a true adventure. We journeyed with little information of any Harpies, knowing only that they have been seen before. We started in their city of Georgetown, and travelled through the rainforest for a month, speaking to indigenous locals, sourcing information and stories about local sightings. We camped in the open, in our hammocks, which meant we dealt with an assortment of spiders, snakes, mosquitos and other harmful insects. That’s where Rohan came in. It was really important to protect myself from these whilst still being comfortable. Mosquitos are one of the most important insects to avoid, they spread some harmful diseases. The great thing about going away wearing Rohan Trail gear was that I had very few problems. By making sure I was covered from head to toe in the specialist clothing, I barely received any bites, until I headed back into the city of Georgetown and wore a bikini by the pool! I have very long hair and, in the evening, it becomes even harder to avoid being bitten. I used the Trail Hooded Top to stop anything getting in my hair and ultimately inside my hammock. My main concern when trekking was stopping anything crawling up into my Trailblazers, one tip is to wear Trail Socks and tuck your Trailblazers into them. I also made sure I tucked my top in at the waist creating an insect repellent barrier! The South American jungle is host to a range of other dangerous insects. One of my particular favourites is the Bullet Ant, the second biggest ant in the world and named as its sting feels like a bullet has hit you, with the pain lasting around 24 hours. An equally terrifying creature around our campsite was the biggest tarantula in the world, the Goliath Birdeater, which came out every night. We also encountered the Brazilian Wandering Spider (sometimes found in bananas in the UK) and hundreds of poisonous caterpillars. Rainforests are equatorial and the change in climate from the UK is huge, expect to be constantly sweating! It’s important to wear light, comfortable clothing which dries quickly. The insect-repellent Rohan gear also had this great feature as well as UV protection. My favourite item from the range was the Sanctuary Shirt in Grey Check. We travelled in the wet season, probably the most difficult one to handle. You are usually so hot that the rain is a treat, but the downside is everything is constantly wet! I wore the Vapour Trail Long Jacket when we had a big storm, it’s incredibly lightweight, breathable and 100% waterproof. Perfect for when it's extremely hot and wet to stop not only me but my camera getting soaked! Back in the UK I spend a lot of my time in the Peak District, which is near to where I study in Sheffield. 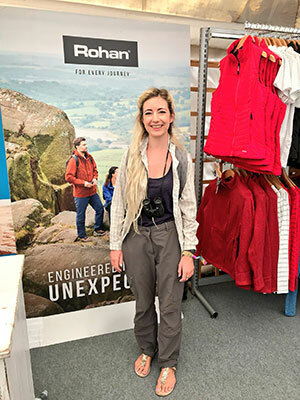 I go out into the field for research or birdwatching but I often have to return to Sheffield for teaching and other research commitments – Rohan provides great looking technical clothing so I can go from the Peak to the office without having to go home first and change. Vapour Trail Long Jacket, Trailblazer Convertible, Sanctuary Shirt and Women’s Trail Socks. 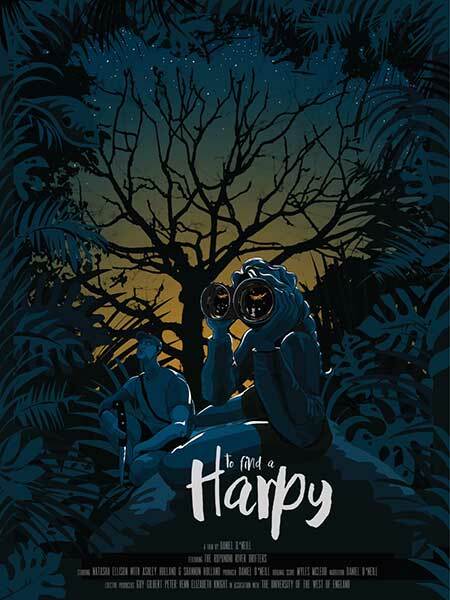 As part of his master’s degree in Wildlife Filmmaking, Oxford-based Dan O’Neill produced and directed the film – ‘To Find a Harpy’. Through his film he wants to show the message of hope that Guyana’s practices provide, and encourage people to think about rainforest conservation in their lives. 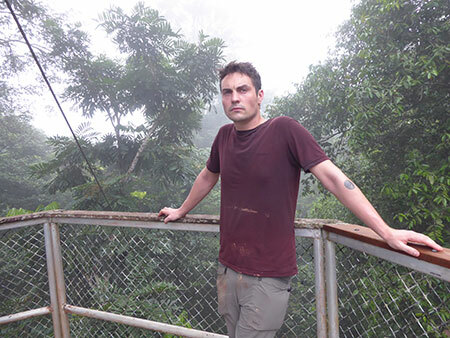 Dan is a trained zoologist with an interest in rainforest ecology and conservation. Having worked in Guyana previously, and returning again in January, Dan has emotional ties with his film – the journey and making of the film being very important to him and his profession, especially as he himself had not seen a Harpy before. Most recently he has established the Wilderland Film Festival which is an evening event of a selection of some of the world's best wildlife and conservation films that will be touring around the UK in 2019. In the face of all the adversities on this ultimate “quest to see”, will Natasha fulfil her dream and join the ranks of those lucky few people on Earth to see a Harpy Eagle in the wild?